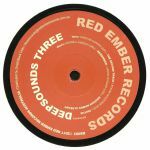 Review: A few years back, the world discovered the nearly forgotten efforts of Ewan Jansen's fledgling '90s label Red Ember out of Perth, Western Australia. Jansen and label mate Justin Zerbst's underrated efforts in the pursuit of soulful deep house led to a renewed interest from a new generation - and it's quite fitting that the label's reboot serves up some fresh sounds from rookies on Deepsounds Three. South African producer Cheslon Hunter aka Markheros has an extensive digital discography thus far, but his vinyl debut was certainly worth the wait. He presents the late night deepness of "The Second Track". 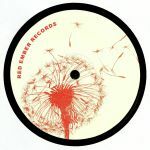 Likewise, Croatian producer Andrej Lasic premieres on wax too and we particularly enjoyed the emotive vibe of "Remember" calling to mind the work of Chris Gray's seminal deep4life label. Finally "Enough Names Already" sounds in order - this is a pleasant surprise from Jason Hogans. For those who don't now, he is a Detroit producer who's had releases on top labels like Planet E, Moods & Grooves and Third Ear.